Do you agree with the following statements on rehiring employees? 1) It is more cost-effective to rehire a good employee who already knows what they’re doing than to train someone new. 2) A rehired employee tends to be more engaged and appreciative to work for you if he/she has experienced first-hand what the rest of the job market looks like. Transportation organizations that use our services for exit interviews agree that one of the most beneficial returns on investment (along with giving employees a voice and being able to get to the root of why people are dissatisfied and/or leaving) is the future potential list. In our surveys, we ask people how likely they would be to return to your organization. If someone tells us they’d be likely or highly likely to return to the organization they left, we ask for their permission to share their contact information with the organization. All respondents who grant their permission are then provided to you in a list of everyone who would be highly likely or likely to return to your organization. You can then sort the data how you’d like and use it for re-recruiting purposes. Several of our clients who have used the Strategic TurnOver Program™ (STOP) exceed the return on their investment by re-recruiting a few good employees. So what do you do if you agree with the opening statements, but you aren’t being provided with a list of former employees who would like to return to work for you? When someone leaves your organization, I recommend coding them as eligible for rehire or ineligible for rehire. If you have the resources, have someone call those who are eligible for rehire after two or three months. Ask people how they’re doing in their new job, and if they would consider returning to work for you. If you don’t have the resources to call everyone who is eligible for rehire, at least give people a “return ticket” when they leave. Let them know that if they want to come back, you would be happy to have them. Some clients have actually made a paper “Return Ticket” that drivers have brought back with them when they returned to work! You could even consider a policy of allowing certain benefits to be reinstated if people return to work within a certain amount of time after leaving. 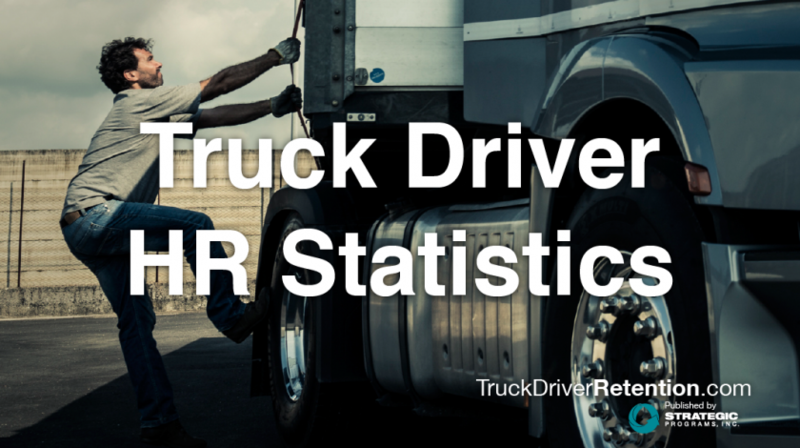 With the driver shortage not getting any better, having a pool of qualified and experienced employees to call on for rehire can be a valuable resource. Make sure the people you want to come back to work for you know they are welcome back.